– Luke Joeckel is the #1 pick to Kansas City. We have to consider the prospect of a non-quarterback going first overall given the form of Matt Barkley, Geno Smith and Tyler Wilson. Branden Albert is a free agent in 2013 and with a franchise tag worth between $9-10m for offensive lineman next year, Joeckel could be a much cheaper, longer term option. I’ve given the Chiefs Aaron Murray at the top of round two and they already have enough weapons on offense to make this scenario work. 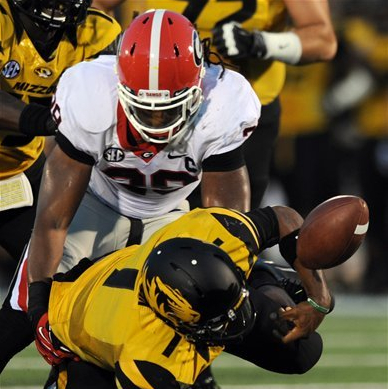 – Jarvis Jones drops late into the first round. Why? Purely down to the spinal stenosis issue. Some teams will cross him off their boards altogether. Others will weigh up the possibility he might only play 4-5 years in the league if things don’t work out. Incredible talent, but you can’t ignore the manner of his departure from USC. – The first quarterback off the board is Tyler Wilson. You could pretty much draw lots on who goes first this year, but if Buffalo has their pick of the group – Wilson seems like the kind of player Chan Gailey would go for. 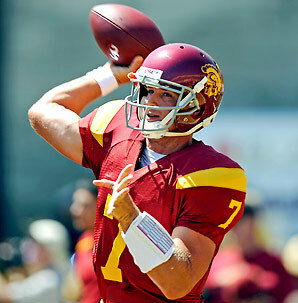 – Matt Barkley drops into the late first. He’s good enough – in my opinion – to warrant consideration as a top pick. Yet Barkley’s form has dipped as USC has imploded under Lane Kiffin – who must take a lot of responsibility for the mess in Southern Cal. We’ve seen fourth year quarterbacks drop when their senior campaigns go wrong, it could happen again. I suspect someone would move up into the 20’s to get Barkley if he lasts that long. In this projection, I wouldn’t be shocked if the Chiefs moved up after taking Joeckel with the #1 pick. The Eagles are another option – Nick Foles isn’t the future for that team. – The Seahawks go defensive tackle and tight end this week. 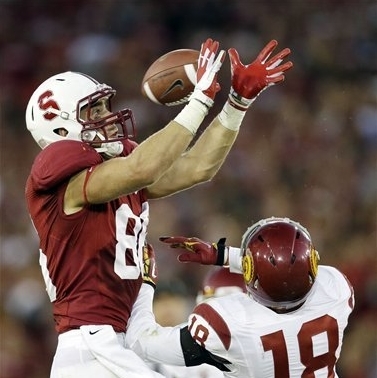 I think between now and April we’ll hear about the front office being smitten with Stanford tight end Zach Ertz. Seattle’s coaches showed a lot of interest in Coby Fleener last year, and Ertz is a superior player. In this mock, he’s a top-15 pick. If he drifts a little or if the Seahawks miss the post-season, then he comes into play as a legit option. He’s a tremendous run blocker which would allow the offense to make even more use of their 2TE sets. He can also be used as a third down target with experience working outside and in the slot. Despite the investment in Zach Miller for 2013 (I expect his contract will be negotiated down), Ertz has value that transcends that of a normal tight end. He could prove to be Seattle’s ideal pick. In this projection the Seahawks take a pure pass-catching tight end in round two in San Diego State’s Gavin Escobar. He’d be used differently to Ertz, but he has explosive potential as a field-stretching playmaker. – There are several noticeable absentees. Sam Montgomery’s reputation at LSU goes before him and I think he’ll fall further than people expect. Cornellius Carradine suffered a bad knee injury against Florida on Saturday and this will severely impact his draft stock. I think Landry Jones and Tyler Bray will struggle to crack the first two rounds. I wanted to include Rutgers running back Jawan Jamison but he just missed out. Also just missing out: Baccari Rambo (S, Georgia), Chase Thomas (LB, Stanford) and Terrance Williams (WR, Baylor). I’ve included a first and second round projection this week. They need a quarterback but may decide that’s for later. Current starting left tackle Branden Albert is a free agent in 2013 and is flexible enough to switch positions if he stays in KC. He’ll shoot up the boards with a strong combine. The owner has a lot of sway in Jacksonville and seems to like flashy moves. The Eagles could do with rebuilding their offensive line, but may see Te’o as a cornerstone on defense. Big upside with major value in run defense. The Raiders need to boost that defensive line. Moore is among the NCAA leaders for sacks this year with 12.5. The Browns need more pass rush. Coleman has insane potential and would easily be the first receiver off the board in 2013 if he declares. 6-6, 225lbs – big play receiver. Features at right tackle due to Luke Joeckel’s impressive form on the blind side. He could translate to the left side in the NFL. Chan Gailey likes mobile quarterbacks who can sling the ball. Wilson will be hoping to turn a few heads at the Senior Bowl. The complete cornerback prospect. Whoever gets Dee Milliner is getting superb value, wherever he’s taken. If he re-gains lost weight he could be another J.J. Watt. That’s his ceiling. 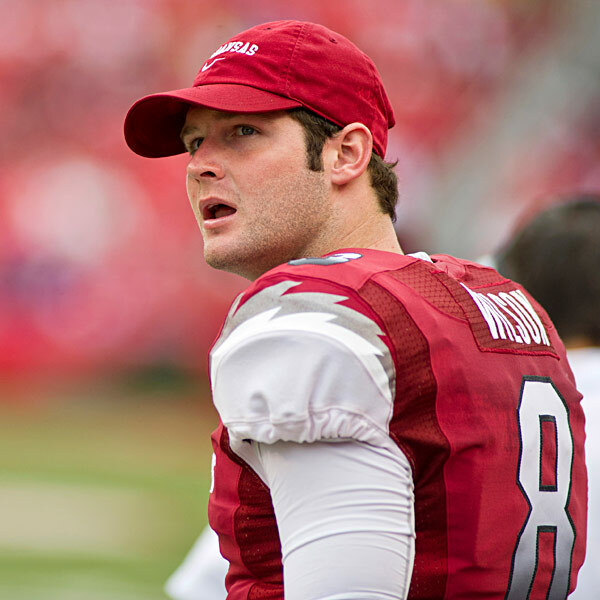 With the top tackles off the board this makes life easy for Arizona – get a quarterback. If the current regime survives in New York, Warmack is the type of player Rex Ryan needs to play smash-mouth football. With Miami also a possible suitor for Ertz, the Rams don’t take any chances with this pick. He’s worth this type of grade. Cooper and Chance Warmack are too good to stick around late into the teens. High-motor player with a relentless approach to the game. Just what New Orleans needs to set the tone on defense. 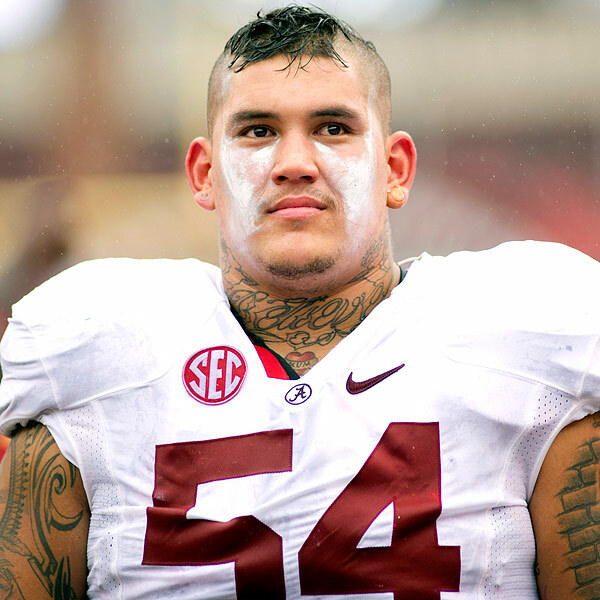 He could follow in the footsteps of Joe Staley and make it into round one to fill a need in the NFC West. He’s not quite as good as some people want you to believe. Even so, he’ll look great lined up opposite DeMarcus Ware. Superb value here. 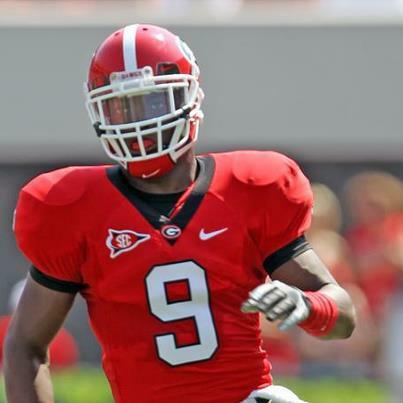 Ogletree is one of the most talented players eligible for 2013. He’s gradually overtaken Jonathan Banks as the #2 ranked corner in this class. His best football will come in the NFL. Great blend of size and speed. Top-15 talent who lasts this long only due to a lack of need earlier. Elam’s a true playmaker in the secondary. The Seahawks need a three technique with the size to plug the run, but also a prospect who can offer more of a pass rush threat. 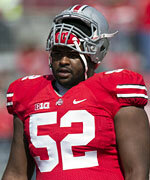 Massive nose tackle and just what Indy needs to build a 3-4 defense. He just seems like a Green Bay type of player. They could use him at 3-4 end, which might be his best position in the NFL. Another team that could use some investment at tackle. Lewan isn’t flashy, but he’s a right tackle at worst in the NFL. He could be the #1 overall pick. Or he could fall a bit. I don’t think the Pats take him, but they love to trade down. This is the worst case scenario for Barkley. Every week he makes plays. The Broncos could do worse than adding another compliment to their defense. He’s playing at guard this year, but has the athleticism to move back to tackle. Blue collar player who would fit right into San Francisco’s defense. Baltimore is one of the few teams good enough to see past Jones’ spinal stenosis to get 4-5 years of pass rushing quality. He could be better than he is, the effort is so inconsistent. Even so, he has major potential. When you have a roster like Atlanta’s, why not go for an X-factor playmaker? Is 3-technique Alan Branch’s current position? I think drafting a replacement here rather than being bound into signing Branch would be a good move. Also, you have Jacksonville drafting D end and receiver; do you see them sticking with Gabbert? Yeah Branch currently plays the three. As for Jacksonville… well the GM is still there who drafted Gabbert. And Henne is maybe playing well enough that they sit on that situation for now. They may feel that if Gabbert was a mistake, why rush into another QB pick in what is generally a down year for the position. Gene Smith has been fired. Nope, he’s still in a job. you thinking about Marty Hurney? Good stuff Rob…It’s unfortunate that Williams is old for a prospect. That said, it could prove to be a real benefit for the Hawks who are desperately seeking an upgrade on the interior. I am really intrigued by Gavin Escobar. Who does he compare to in your opinion? From the limited tape I’ve seen, he’s a really nice looking athlete. Escobar has the same level of ‘wow’ athleticism as Michael Egnew entering the league last year. It’s not really worked out for Egnew yet, but it did for Jimmy Graham. The league on the whole will be looking out for the next Graham. Tight end position become more and more of a factor for certain teams. Has Egnew even seen the field yet? Is he falling into the Golden Tate category of having relied to heavily on his athleticism in college and not really learning how to play football? He’s barely seen any action if he has been involved. He has so much upside but it’s alarming how little he’s played for a Miami team lacking weapons. Amazing potential, we’ll see if it clicks over the next year or two. To my eye, Escobar looks like a much bigger TE than Egnew. Could that be the difference? Mizzou TEs have done nothing in the NFL FWIW. Oh and I love the OT/QB pick for KC, I have to imagine a lot of teams will be trying to emulate what the Bengals did getting Green/Dalton given the success so far. I think Joeckel and Matthews have just flat out balled this year. They’ve moved to the SEC and not missed a beat. Eventually you have to hold your hands up and say – these guys are better than first thought. They’re playing top pass rushers most weeks and doing a great job. Joeckel to me has shown a bit of Joe Thomas about him this year. High praise but it’s hard not to be impressed. He’s a far superior pass protector than Long. As for the rest – I’ve always really rated Warmack and Cooper. 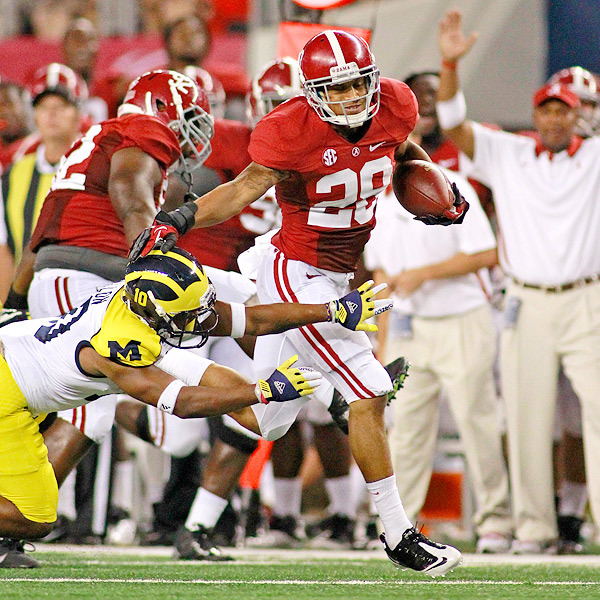 Fisher is growing on me – I’ve seen two games now rather than one and he looks the part of a mid/late first rounder. I’m not crazy about Lewan but the values there at the position. Eddie Lacy and Tavon Austin going to the Falcons is just unfair. That could be the most unstoppable offense in the NFL…and in a dome? Yikes. I’ve said this many times before, but I really worry about Lynch’s shelf life and Turbin’s inability to pick up the slack. I like Turbin, but I don’t see him as “the guy.” I’ve mentioned Lacy a thousand times, but he really does remind me of Lynch and might be a worthy investment for the fact that phsyical runners like that are hard to find. I wouldn’t expect a 2nd rounder on him, but if he’s available in the 3rd, I think the Hawks need to pounce. Just my opinion (and probably wrong)! Seattle should be all over Stepfan Taylor. Matthews has seven tackles for the year so he’s either injured or he isn’t playing. He’s also only a fourth rounder – so I wouldn’t say heavy investment. Kendricks can play outside. DeMeco Ryans only cost a 4th rounder from Houston and he’s on a big contract, so he might be a gonna. They would have to weigh up the options there. Some teams are going to love Te’o and will just want him on their team. Matthews is pretty bad, he was starting last year and would have played his way out of that job pretty quick if there had been anyone else passable on the roster to step in for him. I’m surprised you had Tyler Wilson go so early. Won’t people shy away from him because of that severe concussion and the fact that, after he returned, he couldn’t lead the Razorbacks to many significant victories? I think coaches will appreciate the less than ideal circumstances at Arkansas. Tyler Wilson was not the issue this year. So you really think the Hawks make the playoffs, huh? I know we could still make it into the playoffs at 9-7 (losing to San Fran and Chicago, even) but a lot of things would have to go right for us. I haven’t just plucked the draft order out of the air. If the season ended today – this is what it would look like. And yes, I do think the Seahawks will make the playoffs. After the Chicago game, they have one more road trip – Buffalo in a neutral venue. And they’re unbeaten at home. Meanwhile, Tampa Bay, New Orleans etc – these teams have trickier schedules. All of the Buccaneers tough games come on the road, and as long as ATL plays their starters week 17 I think they will end up at 8-8. The Saints are only 1 game better on the road than the ‘Hawks and one of those was against Oakland. I think the Falcons get revenge in a shootout in Atlanta this week, and then they only need to lose one more to someone not named the Buccaneers. Now that said… I think 9-7 will be a lofty goal if we are missing BB and Optimus. I sure hope they can at least push the suspensions into next season if they do happen. Does Bjoren Werner strike you as a 5 tech DE if he adds weight Rob? I think if he were to fall to wherever the Hawks draft this April- it must be a serious consideration. I know they just gave Red a big extension, but Pete has proven if you aren’t getting the job done, see ya. I’m not saying all the recent struggles are on him, but when you are a one dimensional player, you better be a master at your trade. He does in a 3-4 scheme. In Seattle’s scheme he doesn’t fit and they aren’t going to change. They want size there – which is why if Bryant can’t make it Sunday vs Chicago, they’re moving Alan Branch to DE and playing Scruggs as the three technique. They have a very strict idea as to what they want to do and it involves a lot of size in Red’s position. Are the ‘Hawks dead set on a 320+ pounder there, or would a J.J. Watt type body (6’5″ 295 lbs) at least be a consideration if he was pretty good against the run? Red’s play at times this season has gotten me thinking about how glad I am this isn’t baseball. I still don’t understand why the guy can’t play in the middle at that size, and it is downright laughable watching him on passing plays. I understand that they have an idea about the kind of guy they want there, but in my opinion the only way to justify providing zero pass rush is to play the run the way he did last year. I think they’d consider any sized lineman as long as he was good against run. I’m interested to see how the rest of the year plays out at Red’s spot. We may find that they are willing to be flexible. Jones worked with the 1’s today. If marquise lee were draft eligible, where would he be in the WR conversation? Is he a better prospect then Coleman or just a different type of prospect? He’d be a top ten pick. Different type of player but good enough to justify such a high grade. Rob, I love your mocks and analysis. What do you think about DE Alex Okafor? Do you think Bruce Irvin will one day be a starter when Clemens retires? 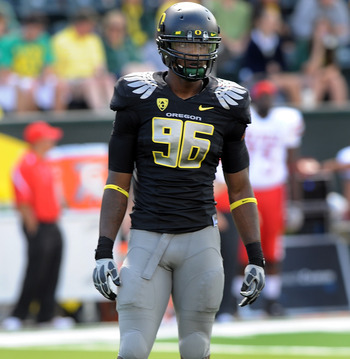 Do you think there is any chance that Bruce Irvin could play OLB for us? If you could have a do over, would you have taken Fletcher Cox or Chandler Jones instead? What did we get from Philly anyway when we traded our 12th and moved back to 15? Okafor is a second rounder for me. I think he’d fit well on a team like New England. I think the plan might be for Bruce to take over as the permanent LEO one day but while Clemons is playing the way he is, there’s no rush there. And I can’t see him ever playing OLB, not while Carroll’s here. I was never that high on Fletcher Cox. Would I take Jones instead? Maybe. But the Seahawks went with a player close to Carroll’s scheme who he had history with. And seven sacks is a decent return from a specialist. i think Chandler Jones would have been a much better pick than Irvin since he seems more ready to play all four downs with efficiency. Have not saw much from Irvin to get excited about. I think if he were a few years younger, then i would have more hope that he might bulk up without losing speed. However at his age, he’s more like a free agent than a draft pick. i’ve noticed that he gets physically rattle quite easy, whether from a mauler at tackle or from a chip by the TE. Not a great pick when you consider all the other defensive line or end talent still on the board. Would not be surprised if the PC\JS try to resurrect the Irvin pick by drafting another DE who can pressure the qb regularly. I would argue that pass rush\pressure on the qb is the most important\essential part of Carroll’s defense. Chandler Jones in hind sight appears to be the better pick, though part of that could be system, but it’s hard to compare the other end/line talent, as that Irvin has played better then nearly every other option from Melvin Ingram, to Coples, cox, vinny curry, et al….save for Jones. I think Irvin is going to be just fine and even better next year as he grows into more responsibility….as for drafting another DE, let’s do it! Regardless of how people feel about Irvin if the Hawks can add Line or DE talent in the draft let’s continue to do that. Wow – my thinking has really changed after the Miami game. I went into that game thinking that the Seahawks might be able to go BPA in the 2013 draft, now I’m agreeing that DT/OLB might be the way to go. On the offensive side of the ball, I’m really curious to see what the ‘hawks do this weekend vs. the Bears. Do Bevell/PC think they can win by staying the course with our run-first, pass-later offense, or will they open the playbook and call plays like they did in the pre-season? I’m hoping it’s the latter. This is another way of saying that I’d like to see if a change of scheme makes us a significantly better team on offense (tough to do against the Bears), meaning that we can focus more on the defense in the upcoming draft. With all due respect Phil, the Seahawks are not going to change course and become a pass first team. They will always establish their run game first and keep the pass attempts low. I wouldn’t expect anything less than that this weekend. The only changes I would hope they make are to quit being stubborn- when it’s the 4th quarter and Marshawn can only average 2 YPC and Russ has hit 16 in a row- quit running the damn ball. That is what frustrated me the most about the Miami game, they refused to just trust Russell Wilson to win them that game. They’ll never “open it up” though. Balance is what Pete has preached for 3 years, and it isn’t going to stop now. That would be unfortunate, a case of stubborness vs common sense. 80% of our touchdowns are by passing. Our running game has been almost non-functional over the last few games. You can acknowlege reality, practice and make the ineffective plays better, or just keep calling ineffective plays. Colin – as a UCLA grad and booster, I’m all too familiar with Pete’s offenses, going back to 2000 when he first came to archrival USC. Over the years, his offenses — IMHO — have emphasized passing more than the current Seahawks offense does. For the last 2 years, I think “balance” has been what he has preached because TJack was far from being an elite QB who Pete could put his trust in, and RW was an unproven, rookie QB. Never say “never”. I expect the Seahawk offense to adapt as RW matures. If it doesn’t, then I expect Pete will have an early retirement. Agreed on Offensive Schematics at USC. Also it’s easy and super safe to preach “balance,” when Marshawn is in a rhythm, and your QB’s are an aging INT prone Hasselbeck, and Tjax. As RW continues to improve, and though I’m future casting here, it seems all to obvious that he will continue to become ever sharper at the passing game, it will be easier to “open it up,” with him. I tend to agree Phil, I just think Pete will always be run first. “We throw to score, and run to win”. Suppose we also have to consider though, that Pete recruited enough 5 star guys to dominate teams. The NFL is a little tougher and he seems to have adjusted his approach more towards the run. Or could he have adjusted his approach more to fit the players he inherited ….? Let me expand a little on my last comment. Pete is, by background, a defensive oriented coach. He played defensive back in college and his USC teams were packed with talented defensive (and offensive) players. When he joined the Seahawks, they were an aging team with an aging QB who, though talented, didn’t have a supporting cast of receivers to work with. I think that Pete was smart enough to realize that there were basically two paths he could take to re-build the team: he could stress rebuilding the offense, or he could do the same with the defense. Or, perhaps a third approach could be a hybrid of the other two — by rebuilding the running game, he would improve both the offense and the defense in the sense that a run-first, possession-type offense keeps the clock running and deprives your opponent of a couple of possessions each game. So, I think that is what has happened since he joined the team. Now, enter a talented rookie QB who “fell” into Pete’s hands with a 3rd round pick. While impressed with the rookie’s play, he limits the playbook for the first few games and then gradually opens it more as he sees that the rookie isn’t going to “lose” the game for him and just might win one or two for him. Following this scenario, I see Pete adjusting his offensive philosophy to match the growing talent he sees in RW. Will he continue to forever be a run first coach? I don’t think so. It may not happen this weekend against the Bears, but I bet it continues to develop over time. If the Seahawks drop out of contention for the playoffs, I can almost guarantee it will happen sooner than later. It’s kind of interesting to look at. Rookie wise I would give Wagner a giant thumbs up. Irving and Mebane have gotten most of our sacks. Comparing Irving to others we could have picked in the first round, Chandler Jones with New England is a clear winner. What do you guys think? On paper yes, I would agree. We can’t compare Chandler Jones playing a 5 tech in a 3-4, to Bruce Irvin playing a specialist rusher on a 4-3. Apples and oranges. Thanks for doing the research — I was curious to see what the numbers were so far this season for some of the potential draft choices that were being bandied about on this site earlier this year. Since the roles being played differ among the individuals for whom you have furnished stats (i.e., some are every-down players and some are situational players — like Irvin), I think you have to be careful with the conclusions you draw from them. My concern with Irvin’s play is that I have an impression that most of his sacks have come in instances where someone else — Clemons, for example — has flushed the QB from the pocket and Irvin, rushing from the other side of the pocket, just happened to be there to pick up the sack. I remember only 1 or 2 cases where Irvin beat his man and got to the QB first. He’s still learning, but at this point, if he can’t speed rush his guy, he doesn’t seem to win the battle. And, even when he does use his speed, he doesn’t seem to have the ability to lean into the defender while still churning his legs like a Dwight Freeney, for example. I agree that at least half Irvins sacks were due to him either being unblocked or having some one else flush the QB to him. It is fair to compare him to other first round rookies because that’s what we passed on to pick him. Its too bad he is situational, I don’t recall him contributing on special teams either. At this point he looks like a fourth round pick. I thought the team stats were interesting. A lot of tackles by our linebackers and safeties. I think that is normal for a team. I didnt post Earl Thomas , I think he was around 46 tackles. Maybe that points toward drafting good linebackers. Looking at the rookie stats again, if we draft a nose tackle next year, we can expect about 20-30 tackles from him (to date) and a few sacks. The DE position has more opportunity for sacks. 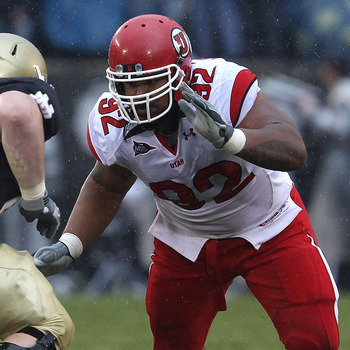 The DT position has opportunity to disrupt a running play or the passing pocket. So they are both important and why the defensive line has to be graded as a unit. If one defender was strong and others weak they will just double team the strong person. 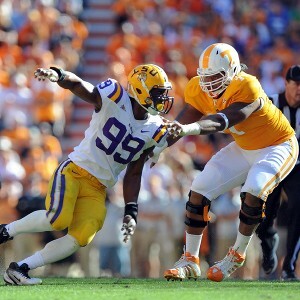 A 7 sack situation pass rusher is definately not a fourth rounder in today’s pass happy NFL. Also keep in mind that even if we had drafted Jones over Irvin he would still be behind Red Bryant and Chris Clemons and would be in the same situational pass rusher role that Irvin is in. So if you’re arguing that Irvin was a poor pick because he isn’t a every down player keep in mind any other DE we would have picked wouldn’t be either. Personally I have been underwhelmed by Irvin’s ability to turn his speed into productivity… The sacks he had against GB were both on bull rushes, and he just hasn’t been able to get around the OT as consistently as someone that fast should be able to. I can tell PC how to get a good lightweight edge rusher. 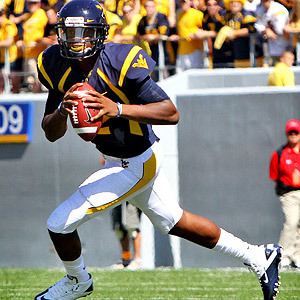 Someone who really will make a difference in a game, and will be there trying to get to the QB every down. Put Earl Thomas or Kam Chancellor in that position and see what happens. Did you see that leap that Thomas made against Miami when he was trying to bat the ball down? Put him at the line of scrimmage and see what happens! I think they should blitz Thomas a lot more, but they love to leave him in coverage. Excepting of course Carolina where he is ankle tackling a dude much bigger then him after Cam is flushed from the pocket and it’s his pure speed that works for him. Not to be too negative here folks, but who in the NFL generates sacks through their own force of will. FO reach sack artist see, aldon smith, there are a plethora of reason for their success that can be cast away from their skill sets. In Smith’s case, he has the other smith working in conjunction, oh and a five sack game against the leagues pre-eminent terrible offensive line, with a near immobile back up QB in Jason Campbell….is Aldon Smith as good as he is? or is he benefiting from circumstances like Irvin? I suspect Carroll and Schneider will think highly of CJ Mosley. He’s fast and physical and has a knack for making plays – while not allowing them in turn like many defensive playmakers. Plays manifest for Mosley because he does his job exceptionally well, not because he forces the issue. He plays with great awareness and control. He’s undersized but can still fight through blocks due to his powerful legs and active hands. A question! If Bjoern Werner fell to us because of the other pass rushers, would you be crazy about picking him? 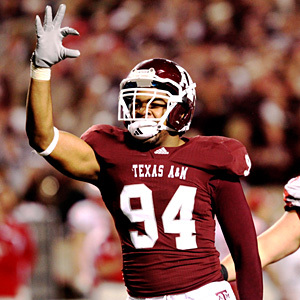 If he is really a clone of J.J. Watt, then having him replace Red Bryant at the 5 – Technique (I’m sure most of you already know this, but is the spot where J.J. Watt plays) would be incredible. Would you want to trade up for J.J. Watt clone? No because the Seahawks don’t use an orthodox 5-technique. They want size there. Carroll said yesterday in his press conference if Red Bryant doesn’t make the Bears game through injury, that Alan Branch (another 330lbs monster) would play that position and Greg Scruggs (a college DE) would play the three technique. They aren’t changing scheme any time soon so I wouldn’t expect them to look at 3-4 DE’s. Rob, in the 2012 draft, the Seahawks felt that the draft was deep enough to trade down and receive more picks. They even found some hidden talent in the 7th round in Sweezy and Scruggs. Do you think that the Seahawks will trade down again? Or, trade up because the draft is more “top heavy” in talent? Or, stick with the cards that they are dealt with? It’s too difficult to say whether they’d trade down this early. Really depends who’s on the board, where they pick, whether they feel they can move down a bit and still get their guy. They clearly felt this year that Irvin would be there three picks later so did the deal. I’ve noticed in your mock drafts, you appearantly aren’t too high on ORT- D. J. Fluker, 6-6, 335, Alabama. Many sites have him highly ranked, but then there are some people don’t feel ORT is worthy of a 1-st round pick. With our current ORT position being in need of an upgrade, maybe Fluker is a possible option? I see a total of 7 OT’s in your top 63 picks, what do you know that is wrong with Fluker that he didn’t make it into the first two rounds? I see WR, OLB, DT & TE as more pressing needs, but ORT should probably be addressed in at least a midround pick. 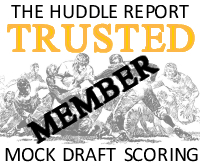 Perhaps, if available, a guy like Alex Hurst, ORT, 6-6, 331, LSU, (who has been a multiple 1-st team all SEC selection) currently ranked by a lot of sites in the middle to later rounds would be a more realistic choice (he looked pretty good to me in the couple of LSU games I watched)? I don’t know why he’s not ranked higher, but then it is early…..
I’m not a huge fan of Fluker. He’s really just a bog standard right tackle. His massive size helps in the pro’s and he’s able to have success against college lineman as part of a great line. But making the step up is going to be touch. A lot of Seahawks fans complain about Giacomini getting beat or holding. Don’t expect that to get any better any time soon if you draft Fluker. In fact, he may be better kicking inside where his size can be emphasised and you’re not asking him to protect an edge. I know you don’t think there will be rb’s drafted earlier than round 2, but as far as mid round backs go what are your thoughts on Ray Graham? He’s coming back from an ACL (I think), but has looked good especially in South Bend. Thoughts on Jonathan Franklin and Kenjon Barner? Thanks! Reading the blog is a daily must. Graham has probably been my second favorite back in that conference this year behind Jawan Jamison. I remember when he burst on the scene thinking he had R1-2 potential but he lost form and then had the injury. I’m not crazy about Kenjon Barner – think he suits Oregon’s offense almost too well. Franklin I would take in the third round if he’s there – solid all-round type. But my favorite backs from this class are Montee Ball and Stepfan Taylor. In fact, they might be two of the most under rated players in college football. Incredible. Interesting that you have two safeties going before Phillip Thomas. 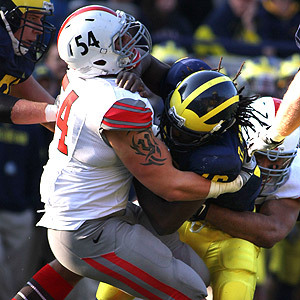 Many consider him to be the best defensive playmaker in college football. The two safety’s I have in this mock deserve the grades that they have. Not saying they don’t. Just wondering what you’re not seeing in Thomas that others seem to like.